Previously US defense officials warned that Russia was preparing to deploy nuclear-capable Tu-160 Blackjack bombers to Venezuela this week in continuation of scheduled training, but which Pentagon leaders see as a provocation, given both countries are under sanction and seen as "rogue" states. This comes as President Nicolas Maduro, who is overseeing one of Venezuela's worst political and economic crisis in decades, has been increasingly reliant of Russia for aid, and after he visited Moscow last week and signed an estimated $6 billion deal with Putin, promising investment in the oil and mining sectors, with military modernization aid to boot. The US defense officials had conveyed details of the planned flight to The Washington Free Beacon, which is the seventh such training flight to take place internationally involving Blackjack bombers in only the past three months. And on Monday Russia's Sputnik News confirmed the training flights have been initiated, noting that two Russian Tu-160 strategic bombers, escorted by an An-124 heavy-lift military transport aircraft and an IL-62 plane have landed at the Simon Bolivar International Airport in capital Caracas, according to Russian Defense Ministry (MoD) statements. 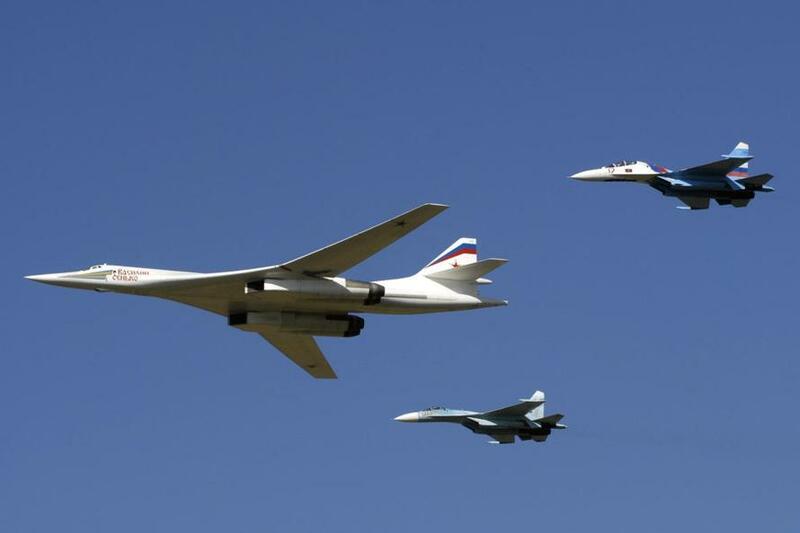 At certain stages of the flight, the Tu-160 bombers were followed by F-16 fighter aircraft of the Norwegian Air Force while the flight was carried out in strict accordance with the international rules on the use of airspace. The Russian MoD described the flight path of the nuclear-capable bombers as over the Atlantic Ocean, the Barents Sea, the Sea of Norway and the Caribbean Sea, at a total single take-off distance of over 10,000 kilometers (about 6,213 miles). This is the second incident in two months involving Russian bombers being shadowed by foreign jets, as in late October British and Norwegian fighters monitored Tu-160s as they flew over the Barents Sea. Russian military officials have recently noted that "Russia’s long-range aircraft make regular flights over the international waters" and defended the right to continue doing so, according to TASS. Just before Monday's flights US defense officials described the series of training exercises as focusing on routine aerial maneuvers like long-range refueling; however, they described further the training includes landing in Venezuela as a "provocative" and "unusual" action which is "clearly aimed at us" following other flights over the past months. Currently tensions between Moscow and Washington are at their highest in months following US plans to pull out of the 1987 Intermediate-range Nuclear Forces Treaty, citing alleged Russian violations of the accord. US officials have interpreted the uptick in Russian bomber flights as a "show of force" response to American threats over the INF. Last March Russian Deputy Defense Minister Yury Borisov announced plans for major upgrades to the Tu-160, which carries nuclear-tipped KH-55 cruise missiles among others. He said at the time: "We are going to... carry out deep modernization of the planes [that are currently] in service when only the fuselage would remain while all the avionics equipment and engines would be replaced." Borisov further touted plans for significantly increased range in missile delivery as well: "One cannot even compare the Tu-160 aircraft equipped with the X-55, X-555, and X-101 missiles and a plane that we are hoping to get by 2030 equipped with new air-delivered ordnance that would have completely different effective distance," he said at the time. 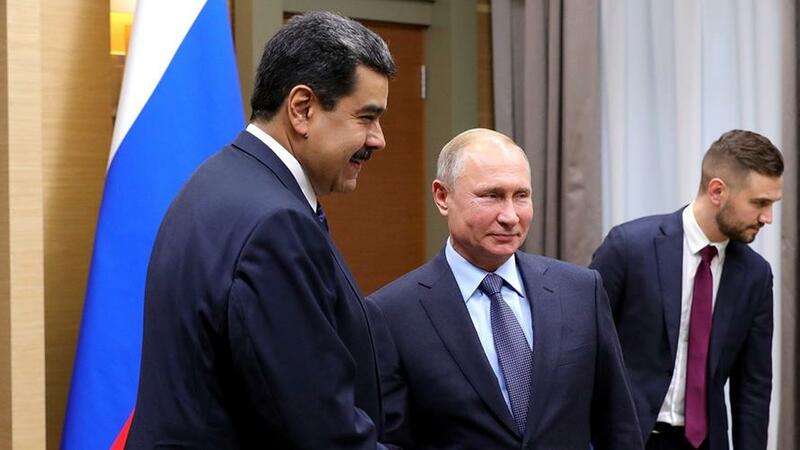 Despite Russia offering to throw cash-strapped Venezuela a multi-billion dollar life-line, the Latin American country has routinely been unable to repay its debts.